Originally from St. Louis, Missouri, Dryden Wells has spent the majority of his professional career living and working in China. 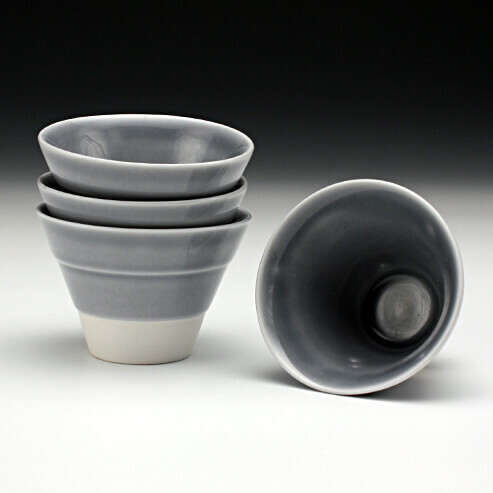 Upon the completion of his MFA at Texas Tech University, he first moved to Jingdezhen, China, in 2008 to manage and oversee production of the Pottery Workshop (PWS) – Design Studio. After a year (2011-12) of teaching Ceramics at Missouri State University in Springfield, MO, Wells moved back to China to work at the PWS – Shanghai location. Here he had the opportunity to instruct weekly studio classes, college courses, as well as to continue the development of his own creative work. During 2016 and 2017 he taught at Northwest College, Powell, WY and spent a year running the ceramics program at the University of West Florida in Pensacola, FL. Recently returning from Jingdezhen with his partner, Andrea Moon, where they Co-Directed the Pottery Workshop – International Residency and Education Center, the two are now continuing their studio practice and residing in St. Louis, Missouri. In both one-off items and production work, I am captivated by the union of craft, problem solving, ingenuity and creation when working with clay. And while ideas associated with oppositions and dichotomies has and continues to be a driving force in my work, I find that the subtleties and surprises of the creative process have the most influence on my work and continued growth as a maker. In recent years, molds have become an important part of my studio practice, not just for the objects they yield, but because of the fine crafting, problem solving and creativity required to make them. Perhaps because of the three years I spent living and working in Jingdezhen, China, or simply because of my appreciation for craftsmanship, I often find as much beauty in a well crafted mold as I find in a finely crafted vessel. When made well, there is a heavenliness in the simple details and ingenuity of both objects. While the making of the molds is often a long and tedious process guided by specific parameters, it is during the casting processthat I am able experiment with and respond to the clay.